Home > Books > What's So Amazing About Grace? Mention the word "grace" and what immediately comes to mind for most of us is a bagpipe wailing the solemn notes of "Amazing Grace." The grace of which Philip Yancey writes is the freely given and unmerited favor and love of God. This grace seems a remote, almost sentimental concept, without a place in our lives or our society. It is a vague, slippery thing to us, probably because we seem to experience grace so rarely and have managed to leech the word of meaning. 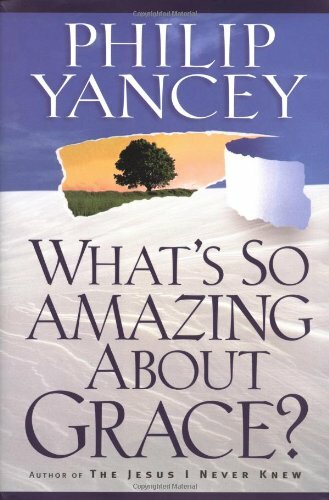 But Philip Yancey has set about to rescue grace in his book What's So Amazing About Grace? This grace is the true message of Jesus. All faiths have virtues and creeds and justice and truth, but Jesus speaks merely of receiving the love that God has for us. Accepting it, not earning it or making ourselves worthy of it. And frankly, accepting something we have not earned or are not worthy of is not an easy thing for most of us. In truth, grace is both utterly simple and utterly confounding. Little by little, Yancey guides us into a clearer understanding of grace by using stories, in much the same way Jesus did. We read stories of both grace and ungrace at work in people's lives. Sadly, it is stories of ungrace that are more prevalent today, the current culture wars painful acknowledgments of ungrace in our lives as Christians in this country. 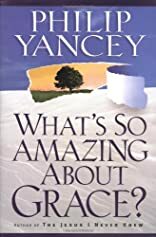 Yancey helps us understand that ungrace is that state of being in which self-righteousness and pride are a result of thinking that we have somehow earned God's approval and may now stand in judgment in his behalf. 3/10/2015 Dana Goodman said: Anything by Phillip Yancey is thought provoking and satisfying.